Taking a break from his parish duties, Fr. Ralph took the train up north to Derry and visit the town's one and only Steds sophomore and ND leprechaun, Conal Fagan. 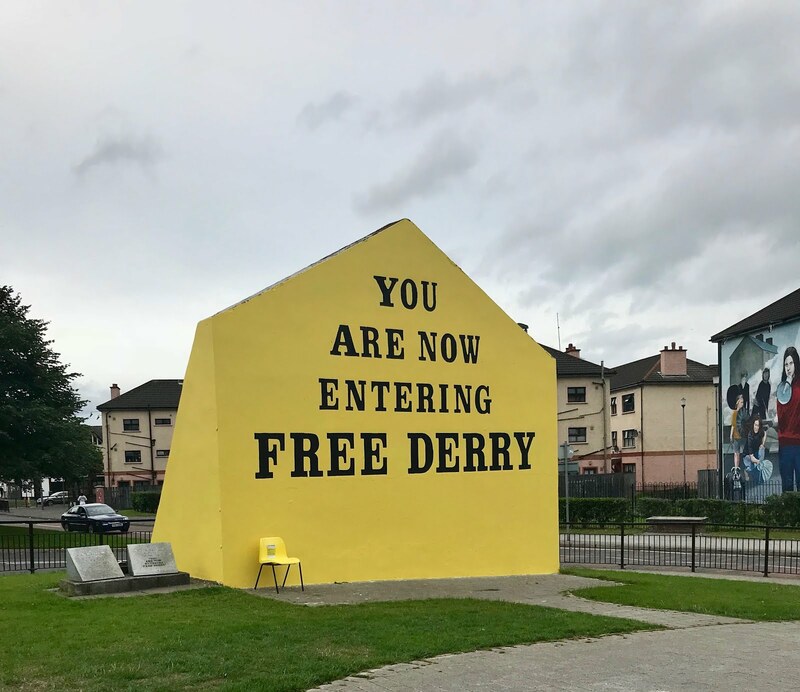 While the sky in picture looks a bit gloomy, Derry and its environs are beautiful, and surprisingly, there is a lot of history for this small city, the third largest in Ireland. 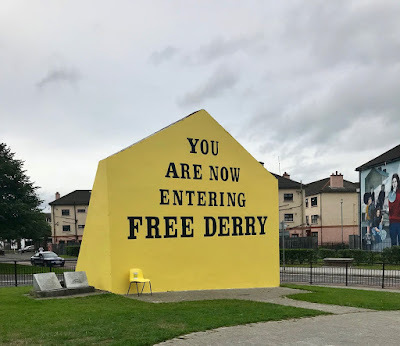 From Derry's Viking times to the Troubles of the 80's and everything in-between, Fr. Ralph saw and heard all about it. On his visit, Fr. Ralph said, "It's hard to believe that I am here AND visiting a Stedman! My only wish in the random assigning of students this year is that Steds receives someone from the Tropics!"